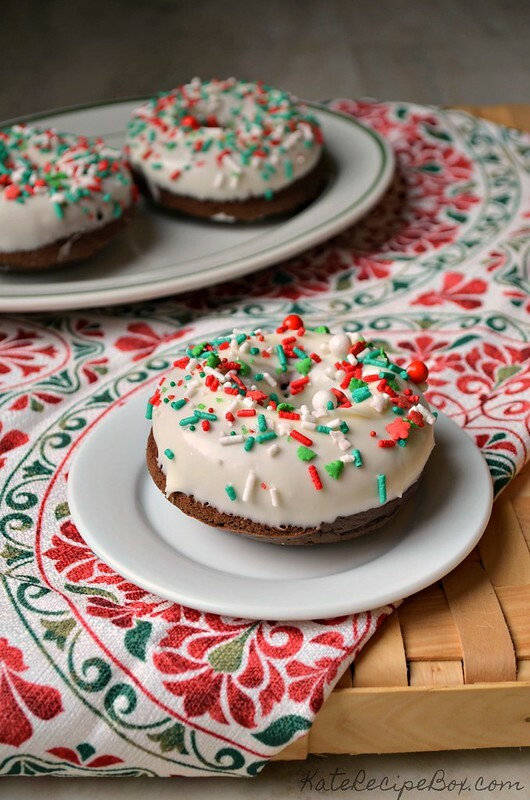 These are simple enough that you could even whip them up Christmas morning. Assembling the dry ingredients the day before will help speed up prep, and recruit some extra hands to help with the icing and sprinkles – my kids loved lending a hand! You’ll have a fun, special holiday breakfast in no time! White Chocolate Cranberry Coffee Cake from Who Needs A Cape? Preheat you oven to 325 degrees. Spray a doughnut pan with nonstick spray. In a large bowl, whisk together the flour, sugar, cocoa powder, baking powder, baking soda and salt. Add in the eggs, milk, vanilla, chocolate hazelnut flavor, and melted butter. Beat with an electric mixer for 2-3 minutes, until well combined and the color has lightened slightly. Fill the wells of a doughnut pan halfway. 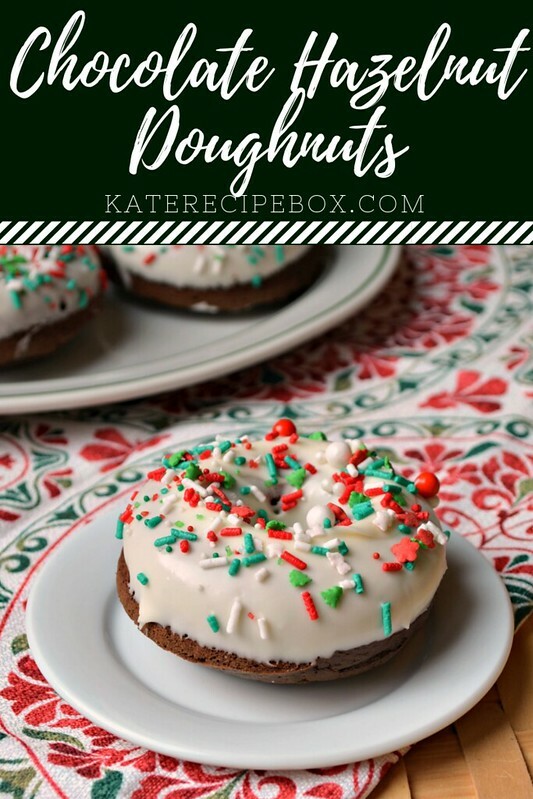 Bake for 12-15 minutes – the doughnuts will spring back when pressed lightly or a knife inserted will come out clean when done. Let cool in the pan for a few minutes, then transfer to a cooling rack to cool completely. In a medium bowl, whisk together the ingredients for the icing. If it’s too thin, add more sugar. If too thick, stir in a little more heavy cream. 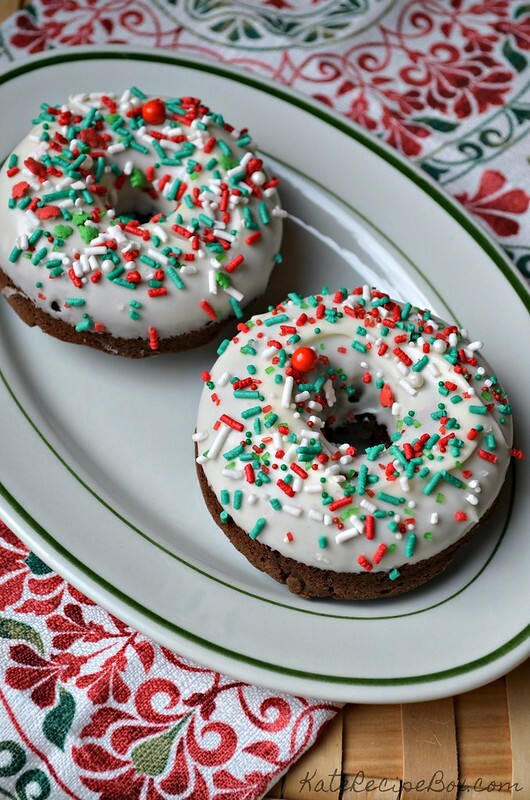 Dip cooled doughnuts into the icing, then top with sprinkles. Let sit until the icing has solidified, about 30 minutes.